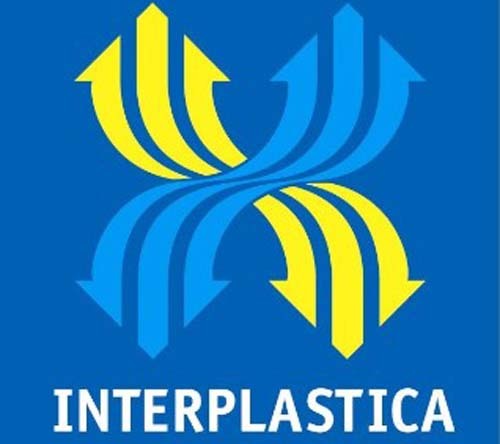 At Interplastica 2014, January 28 through 31 in Moscow, Russia, ENGEL will be demonstrating, at its stand in Hall 3, how innovative injection moulding technology and intelligent options can substantially improve the overall efficiency of manufacturing cells. Two automated plants set out to prove this: a tie-bar-less ENGEL victory tech injection moulding machine with an ENGEL viper 6 robot will produce technical parts, while an all-electric ENGEL e-motion injection moulding machine with integrated in-mould labelling will create premium packaging. “ENGEL victory type injection moulding machines have been in heavy demand in Russia for several years”, emphasises Olaf Kassek, the CEO of OOO ENGEL in Moscow. “The reason: thanks to their tie-bar-less clamping unit, they enable much lower unit costs in many applications.” With the ENGEL victory 500/90 tech, which will produce geometrically complex technical parts at the fair, ENGEL will be demonstrating how to leverage further efficiency potentials beyond this. This system solution represents the state of the art in injection moulding engineering, featuring an integrated ENGEL viper 6 robot, an ENGEL flomo temperature control water distributor, integrated oil maintenance and the ENGEL e service.24 service package. The efficiency potential that the use of a tie-bar-less machine opens up for geometrically complex parts- and multiple-component products is huge. Moulds for these applications are typically bulky due to the core-pulls and slides, although the clamping force required is typically relatively low. Because the ENGEL victory machines can fully use the mould fixing platens up to the edge, a far smaller injection moulding machine can be used in many cases than the mould size would normally require. This keeps both investment outlay and operating costs low. On top of this, the barrier-free clamping unit facilitates mould changes and automation. Thanks to the integration of the ENGEL viper robot with the injection moulding machine’s control unit, the machine and the robot access the same database and coordinate their move sequences. This reduces the cycle time in many applications. Thanks to the pervasive control philosophy, the robot can also be reliably and safely controlled by less skilled staff. The ENGEL flomo and oil maintenance products used in the manufacturing cell exhibited at the fair also contribute towards low operating costs. The ENGEL flomo electronic temperature control water distributor continually monitors all cooling and temperature control circuits, thus making maintenance-intensive cooling water distribution manifolds with sight glasses redundant. With its vortex sensors, the ENGEL flomo requires no moving parts and water filters. All the components are made of premium stainless steel. ENGEL flomo is one of the smallest manually configurable water distribution devices with electronic monitoring on the market, and can thus be mounted very close to the mould. This reduces heat loss. Far lower repair costs, more system availability and improved operating safety – these are the benefits that ENGEL oil maintenance offers. A cellulose cartridge with a 3 μm fine filter continually removes particulate soiling, condensed water and oil degradation products. This keeps the quality and viscosity of the hydraulic oil constant throughout the machine’s service life. The ENGEL e-service.24 package also contributes towards ensuring maximum availability of the manufacturing cell. ENGEL service engineers can use a remote connection, after ap-proval by the customer, in order to access the machine data in realtime, and immediately start troubleshooting following an error message. The ENGEL team can give the machine operators on site specific instructions and explanations by audio, video or text conferencing. Many problems can easily be resolved over the Internet in this manner, and plastics manufacturers can avoid a costly and timeconsuming service call on-site. At Interplastica in Mos-cow, Russia, ENGEL will be showing how ENGEL e-service.24 can also be used within the enterprise for greater data transparency and continuous process optimisation. The ENGEL victory tech injection moulding machine and all of its optional equipment will remain in Russia after the fair, and will be available for customer trials and training at the new ENGEL Training Centre in Nizhny Novgorod. ENGEL’s second manufacturing cell at Interplastica is dedicated to manufacturers of premium plastic packaging. 500 ml containers will be produced at the fair on an all-electric ENGEL e-motion 440/160 injection moulding machine featuring a 2-cavity mould by Glaroform (Näfels/Switzerland). The containers will be decorated using in-mould labelling. The IML automation comes from BECK automation (Oberengstringen/Switzerland). IML films are provided by Viappiani (of Milan in Italy). “All-electric ENGEL e-motion injection moulding machines are increasingly being deployed in high-performance applications in the packaging industry”, says Olaf Kassek. “The consistent ongoing development of this model series is what makes this possible.” The latest generation of ENGEL e motion injection moulding machines achieves cycle times of well under 3 seconds and injection speeds of more than 500 mm per second, a performance class that was long the domain of hydraulic accu machines. “We can now combine top performance with maximum energy efficiency thanks to all-electric drive technology”, says Kassek. ENGEL, whose headquarters are in Schwertberg, Austria, has had a sales and service subsidiary in Moscow, Russia since 2006. Further service and training facilities are located in St. Petersburg and Nizhny Novgorod. 17 service technicians support customers on site, while the company also has its own replacement part depot in Moscow and a hotline, which guarantees fast service. By offering high levels of system competence and usage orientation all over the world, ENGEL is able to cater for specific needs and therefore create competitive advantages to its customers.